Don’t be put off by Gdansk being Poland’s largest seaport. In the past Gdansk held the title of the wealthiest city in Poland, it was a royal city, and later a member of the Hanseatic League. 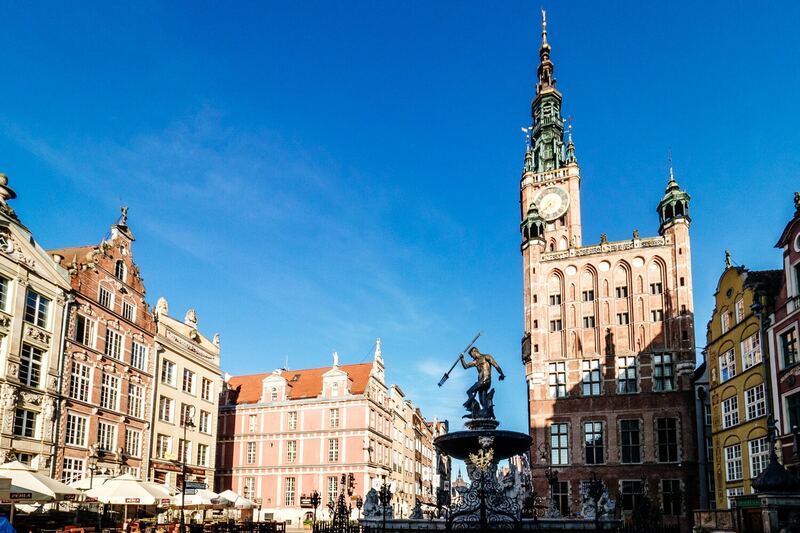 The city played an important role in recent history as the Free City of Danzig and the birthplace of the Solidarity movement, contributing to the fall of Communist rule in Poland. 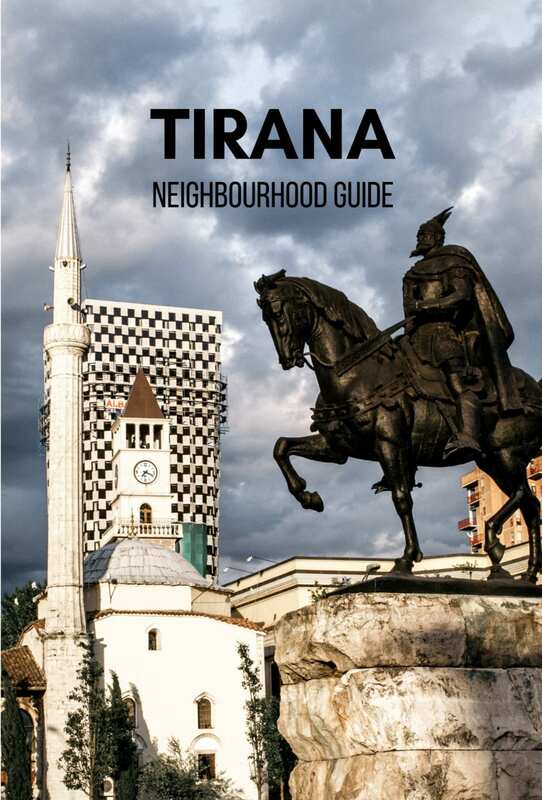 This complex history is reflected in the architecture and museums of the city and the coastal location is evident in the cuisine and Baltic amber for sale in the shops. 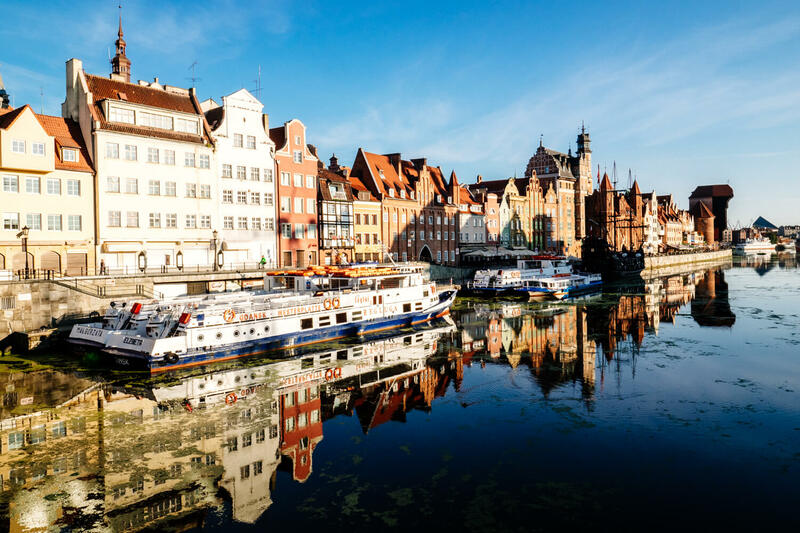 Gdansk is now one of Poland’s most popular travel destinations with the northern city experiencing a massive uptick in visitors in recent years. The city’s increased appeal is partially thanks to low-cost airlines like Wizzair but also due to the beautiful renovation works completed in the Main Town. A good portion of these visitors are from Norway due to daily flights from at least nine Norwegian cities. 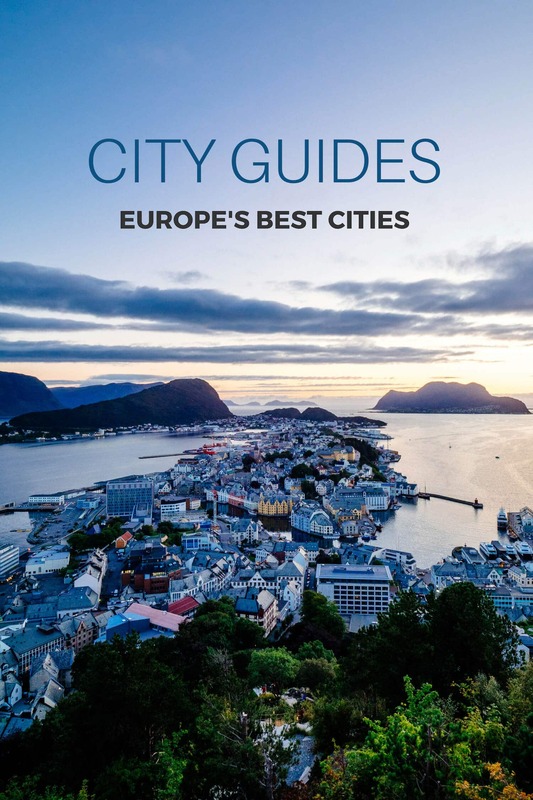 This also makes Gdansk a good stopover point from elsewhere in Europe if you’d like to visit Norway, which is exactly how I treated my city break in Gdansk. 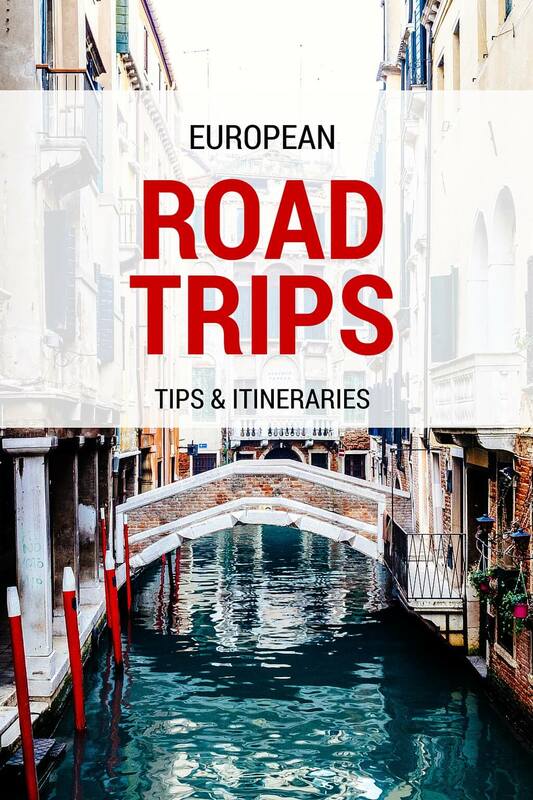 You might also consider a road trip to Gdansk if you’re in the Berlin area and want to see a bit of north western Poland. 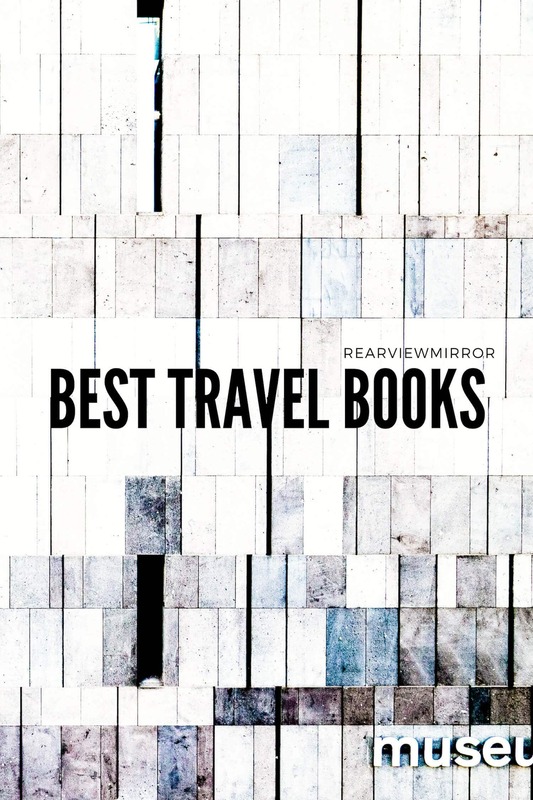 From Berlin, you could take in border town Szczecin and then head up to the Tricity metro area on the Baltic Coast, made up of the three Polish cities Gdynia, Sopot and Gdansk along with a handful of smaller towns. 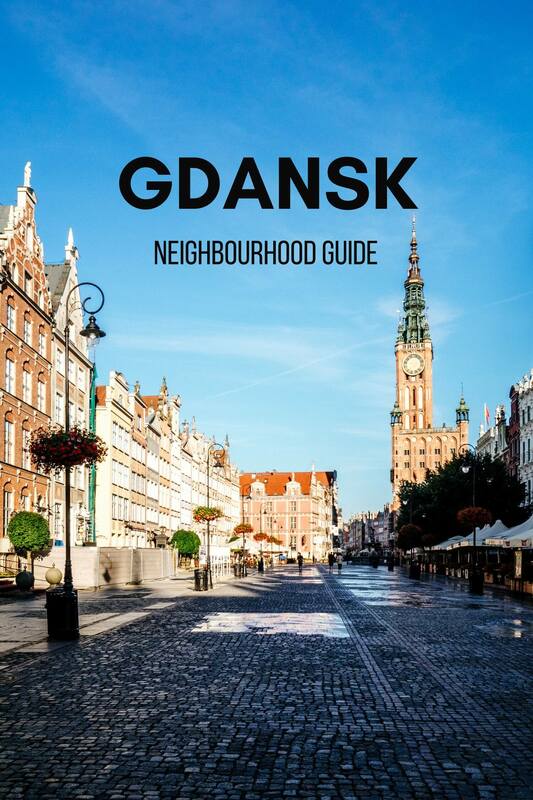 I’ve prepared this neighbourhood guide detailing where to stay in Gdansk if you would like details and insights from someone who’s already been and experienced the city. As a quick reference, on a short trip to Gdansk I’d recommend staying close to the redeveloped waterfront precinct in the Main Town including the Mariacka District. This neighbourhood has the most concentrated attractions including St Mary’s Basilica, the Golden Gate, the Main Town Hall, Neptune’s Fountain, the Crane, and the Royal Route. But there are plenty of other interesting places to stay in Gdansk and the Tricity area. The Mariacka District is in the historic district (Main Town) in the centre of Gdansk. The streets are lined with colourful gable roof houses, great cafes, restaurants, and shops selling local specialties like Baltic Sea amber. This neighbourhood is where you’ll find the famous Royal Route, also known as Long Market (Dlugi Targ in Polish). This wiki article summarises the most notable buildings on the Long Market which lead up to the Green Gate. 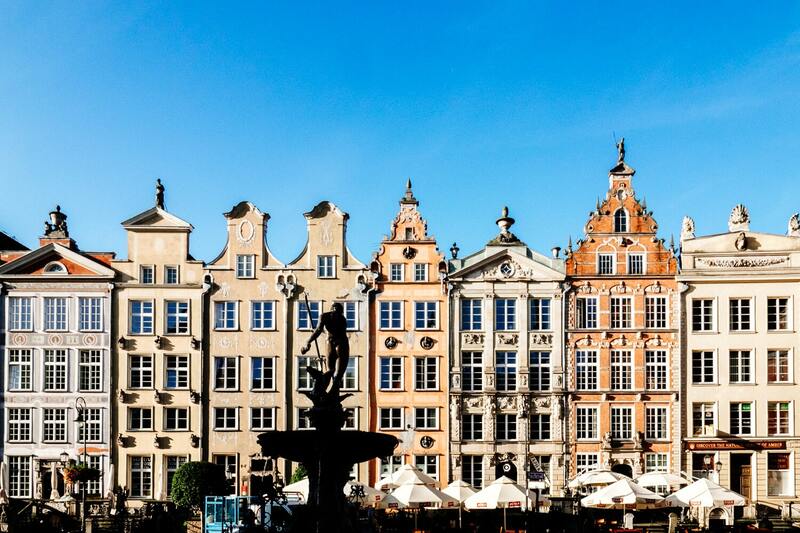 It’s the most beautiful area of Gdansk and where I recommend staying for a short stay. Be sure to stop for great coffee and cake at Drukarnia. Visitors often confuse the Main Town with the Old Town. 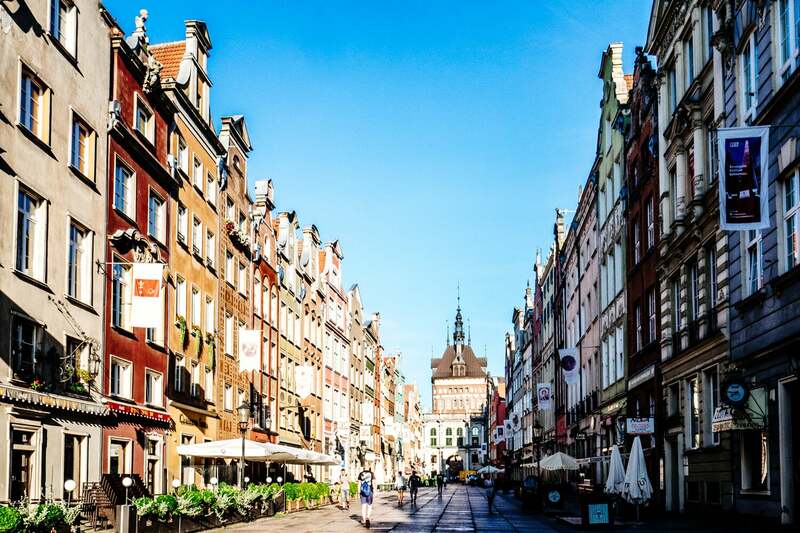 The Main Town is where you’ll find the majority of Gdansk’s sights whereas the Old Town is mostly a residential area to the north of the Main Town which includes the Main Railway Station. If you’re coming by train and don’t fancy walking too far, the Craft Beer Central Hotel is one of the nicest hotels in Gdansk and is literally next door to the train station in the Old Town. This boutique hotel is newly renovated to a high standard and has on on-site brewery. 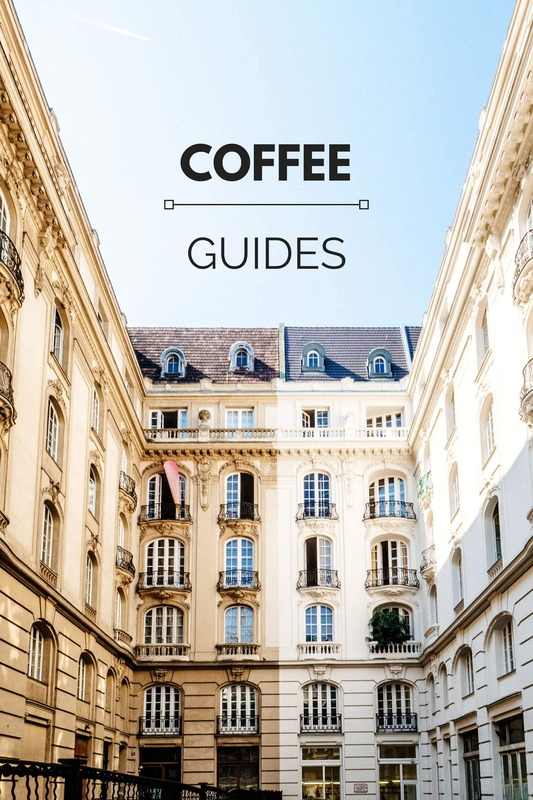 From the train station, the Main Town and its attractions are a leisurely 15 minute walk through the cobblestone streets, so not quite in the heart of everything but not too far either. This is not a bad location if you plan on taking a number of day trips from Gdansk which might include to Sopot, Gdynia and Malbork Castle. Across the river from the Main Town is one of the largest residential redevelopments in Gdansk. Historic warehouses have been converted and many new apartment blocks have popped up in the last few years. New buildings must meet specific aesthetic standards meaning even the most modern of buildings have the classic gabled rooftops you see elsewhere in the city and in other Hanseatic cities in northern Europe. There are some very cool building designs in the Wyspa Spichrzow neighbourhood (Granary Island) and many of these brand new apartments offer Airbnb apartments for rent. These are often a great budget accommodation option, especially for longer stays or for families and groups. Even if you don’t plan on staying on one of the islands, it’s worth walking along the river to see the changes taking place. You can read more about the granaries here. Granary Island: Airbnb apartment. Book via my link to get €20 off your first stay. Half-way between Gydnia and Gdansk is Poland’s most famous and popular spa town Sopot. It’s 30 minutes from Gdansk train station so if you choose to stay here you can enjoy the sandy beaches of Sopot while still being close to the history and sights of Gdansk. Sopot is the smallest of the three Tricity cities, well-known for its wooden pier, the longest in Europe, the ‘Crooked House’, and of course its health spas. 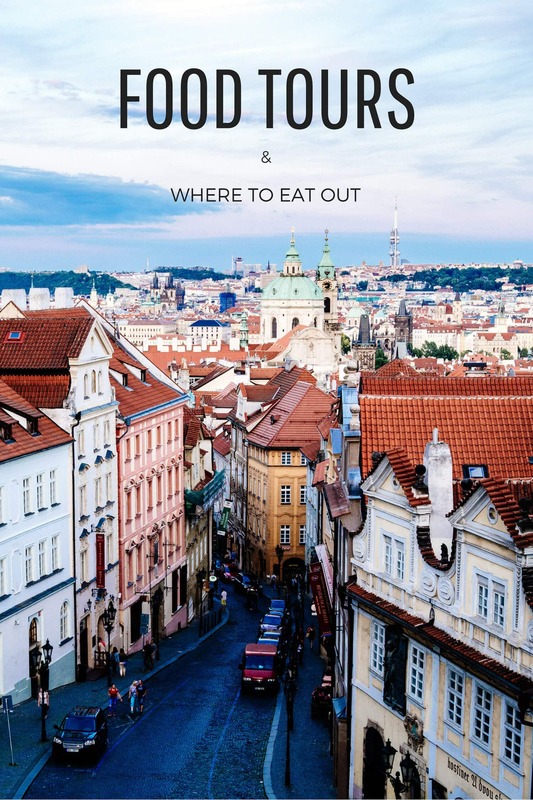 Unless you are particularly interested in any of those things or if you if you want to treat yourself at the fancy Sofitel Grand Sopot, then I would suggest staying in Gdansk and visiting Sopot on a day trip. It’s worth visiting Gdynia on a weekend trip to Gdansk, it’s only half an hour away by train and you can see modernist architecture, maritime attractions or go hiking in the local Nature Reserve. In my opinion, it’s better to stay in Gdansk rather than Gdynia unless you particularly want to spend time in nature and on the coast. 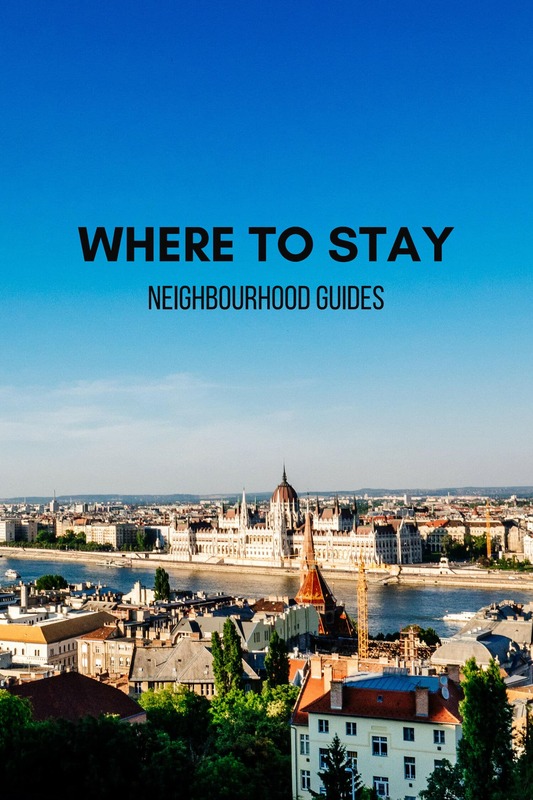 I hope my neighbourhood guide has helped you narrow down where you’d like to stay in Gdansk and the Tricity area. If you require further help, please join our Facebook group and post your questions. 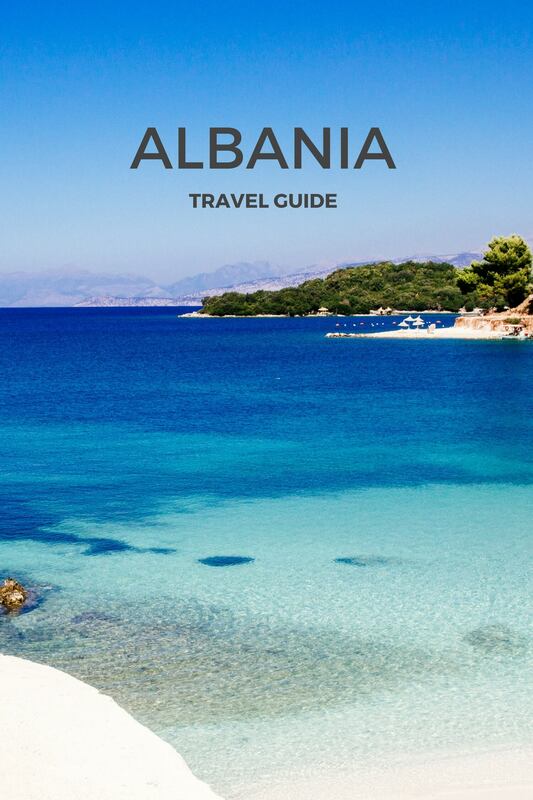 Note: This post includes affiliate links to my recommended hotels.